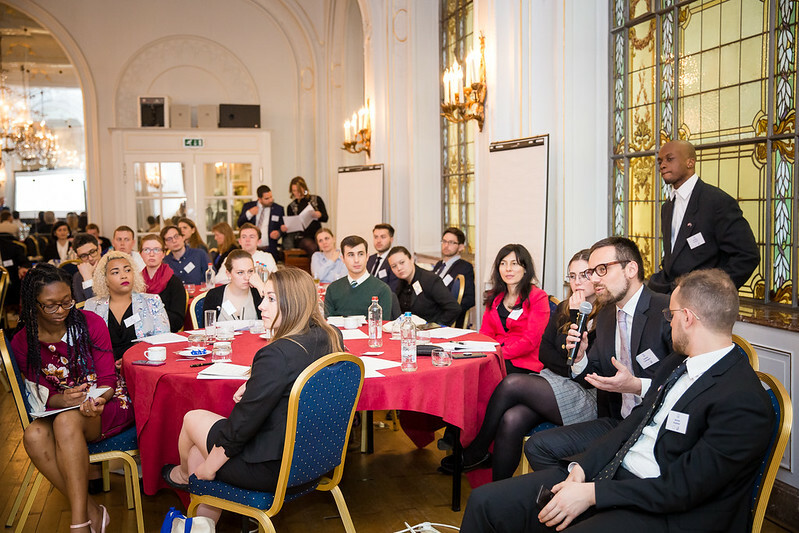 For the past three years, the Fulbright Commission in Brussels has had the unique opportunity to work with colleagues on both sides of the Atlantic to organize the EU-US Young Leaders Seminar. The event, co-financed by the European Commission and the U.S. Department of State Bureau of Educational and Cultural Affairs, represents a unique opportunity for young leaders from across the United States and the European Union to discuss some of the most important issues facing both sides of the Atlantic. 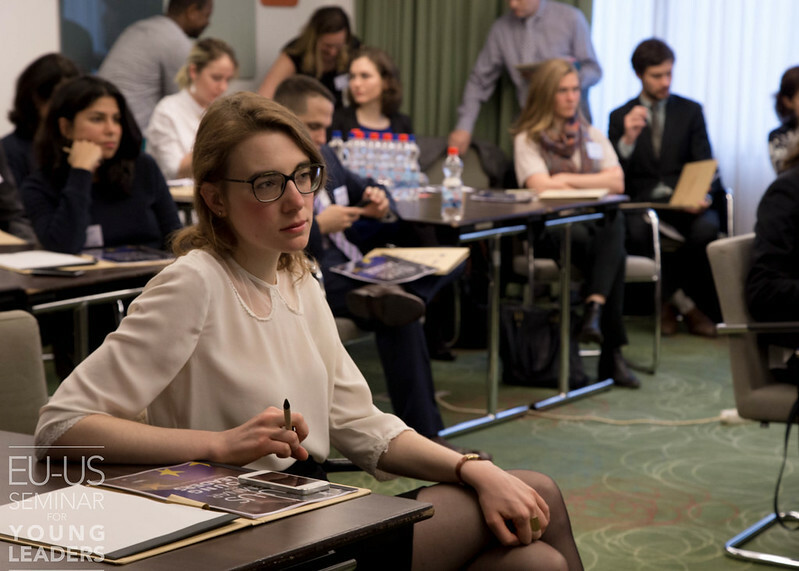 In April 2017, fifty young leaders from the United States and Europe came together for the first EU-US Young Leaders Seminar to discuss the challenges and opportunities presented by the economic, educational, and cultural integration of migrants and refugees. Guest speakers included representatives from the European Commission, the U.S. Mission to the European Union, the European Economic and Social Committee, DAAD, European Network Against Racism, Migration Policy Institute, and more. Click here for photos from the 2017 EU-US Young Leaders Seminar. The following year, the 2018 EU-US Young Leaders Seminar again welcomed fifty young leaders from across the United States and Europe for a discussion on the future of work, focusing on the role of technology in the future of work, the skills of the future workforce, and the social implications of the changing work environment. Guest speakers included representatives of European Commission, the U.S. Mission to the European Union, International Labour Organization, and European Trade Union Confederation. Click here for photos from the 2018 EU-US Young Leaders Seminar. 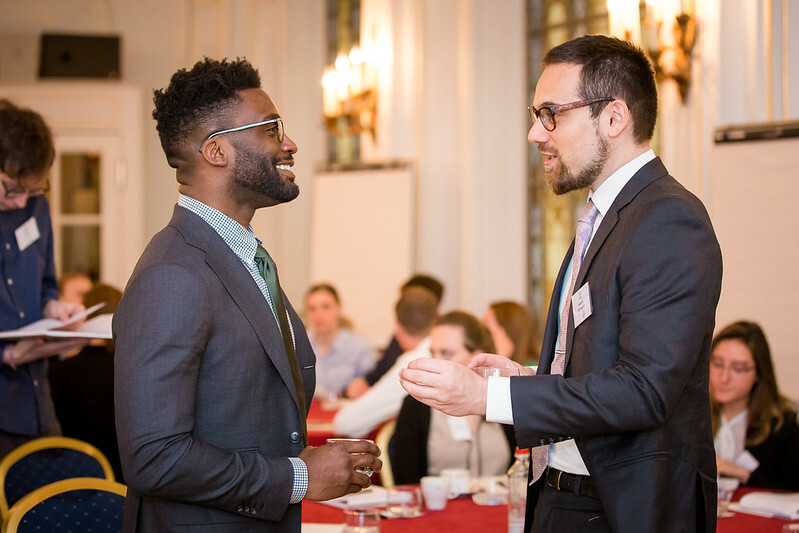 From 7 to 10 April 2019, 27 current American Fulbrighters and 25 European alumni of EU-funded exchange programs came to Brussels for the 2019 EU-US Young Leaders Seminar on “Shared Transatlantic Challenges: Disinformation & the Changing Media Landscape”. Over the course of 2.5 days, this diverse group of participants tackled questions of disinformation, media literacy, and transatlantic cooperation through a carefully curated mixture of large-group presentations panel discussions and small-group, free-form breakout sessions. Three aspects of disinformation and media literacy were addressed by expert panels representing the private sector (including speakers from Facebook, Google, and Mozilla), the public sector (including representatives from EEAS, European Commission DG-CONNECT, and USDOS Brussels Media Hub), and civil society (including representatives from academic and NGOs). Additional speakers included Mark Libby, Deputy Chief of Mission at the U.S. Mission to the European Union, and Christian Lefflner, Deputy Secretary General of the European External Action Service. Participants were welcomed by Dr. Hilde Hardeman, Head of the European Commission’s Service for Foreign Policy Instruments, and Amb. Gordon S. Sondland, U.S. Ambassador to the European Union, during a reception held in honor of the seminar on Monday evening. Click here for a full summary and to see photos from the 2019 EU-US Young Leaders Seminar. 2019 participant Radu Serrano: “Do you remember when you were little and were told to tell the truth? Growing up you realize that not everything is black or white, merely different shades of grey, where withholding, modifying, denying, or playing with the truth can actually be beneficial. But what happens when such practices spread out of control and harm people?” Continue reading. 2017 participant Candace Evilsizor: “Voices from these European and American scholars provided firsthand testimonials of the challenges facing the various countries where they studied, as well as their own efforts to assist. Participants shared their inspiring work as English teachers, dressmakers, and documentary filmmakers. And the meeting of European and American perspectives sparked lively debates: is personal freedom or assimilation more important when it comes to displays of religious affiliation or difference in gender roles?” Continue reading. 2017 participant Safi Sabuni: “I left this seminar with a great reminder that there are countless initiatives and young leaders striving to shape better communities and societies and that when we collaborate, we can truly make a significant change.” Continue reading. 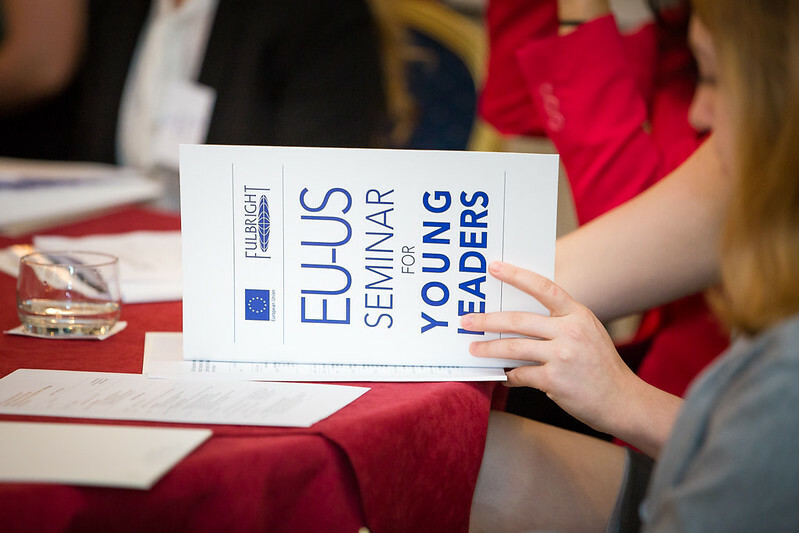 Want to learn more about the EU-US Young Leaders Seminar? Follow us on Twitter throughout the conference with the hashtag #EUUSNextGen.